Add up to 1 gigabyte of memory to your notebook with this Hynix DDR2 200-pin SODIMM! With 667 MHz bus speeds, this PC2-5300 compliant RAM will provide fast performance in any application! 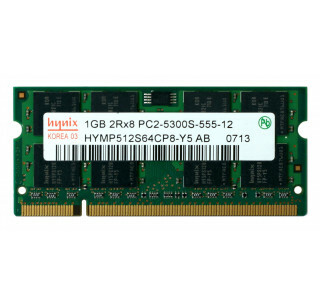 Speed up your systems performance with this Hynix 1 GB DDR2 RAM PC2-5300 200-Pin Laptop SODIMM!